Eddie Lorin is the founder of Founder of Alliant Strategic Preservation Funds, an integrated owner / operator of affordable and workforce housing across the U.S. They sponsor a variety of residential real estate equity funds focused on economically distressed communities. If you’re planning to realize a sizeable capital gain in the near future, the time is right to learn about opportunity funds so you can make an informed investment decision. 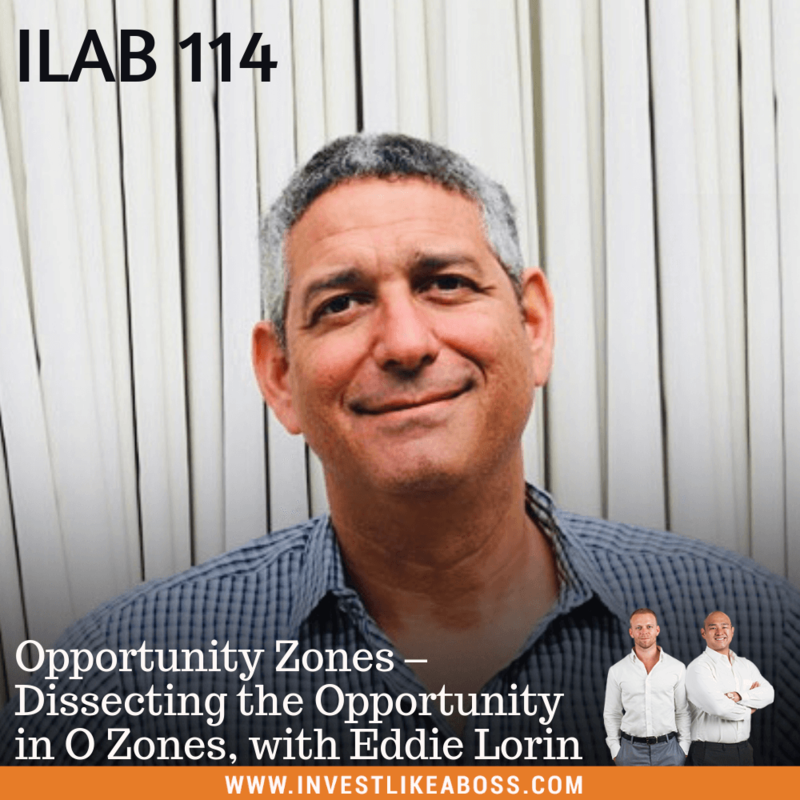 During this episode, Eddie will share how your investment in Opportunity Zones have the potential to pull millions of Americans out of poverty and generate both financial and social returns for investors. Find out what exactly O Zones are and ways to put yourself in a position to understand this business in order to successfully invest yourself. Listen towards the end to hear Sam Marks and Johnny FD discuss a potential downside to O Zones. Listen to ILAB 114 on iTunes here or subscribe on your favorite podcast app. 11:00 – What happens on the rental income after acquiring a low income unit? 44:57 – Is the only downside to O Zones gentrification?